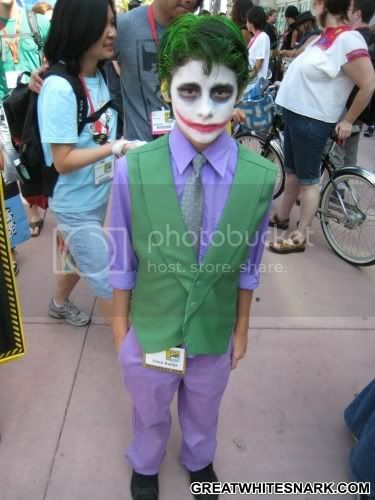 Now that we’ve had our fun at the expense of some of the grown-up cosplayers of Comic-Con 2009 who really should know better, let’s take a moment to appreciate the infallible and adorable costumed kids. 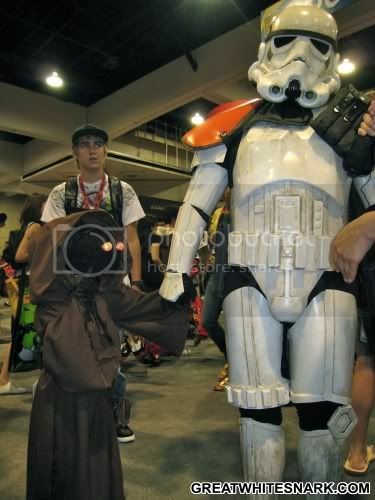 Who will likely grow up to be ridiculous adult cosplayers who really should know better. 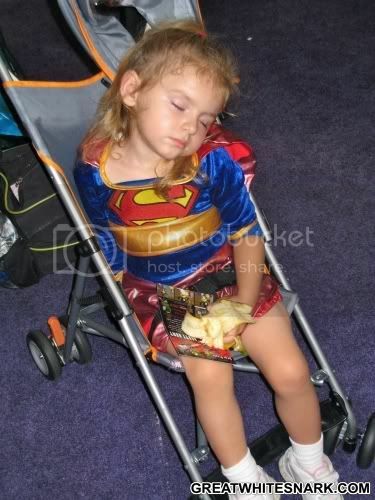 I can’t count the number of times I’ve fallen asleep wearing my Supergirl costume in my stroller with a half-eaten banana in my hand. 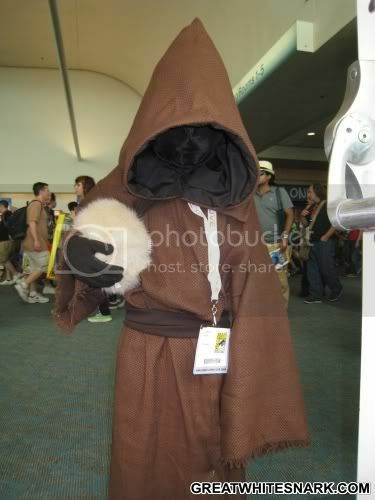 You have not lived until you have heard a sweet little girl’s voice coming out of a Jawa costume. It’s pleasantly disconcerting. 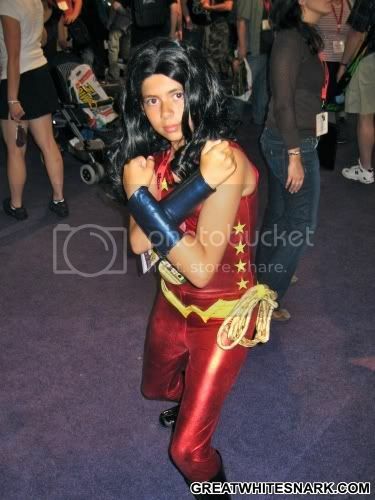 Yes, this girl is indeed challenging me to a fight. Which I accepted. And won. Mostly because I cheated. Not quite “kids”… more like pre-adolescents. But clearly way too damn young to be wearing the fishnets and garters required for a Silk Spectre costume. I detect an aspiring American Apparel model. Quite a respectful young man, as far as Jokers go. 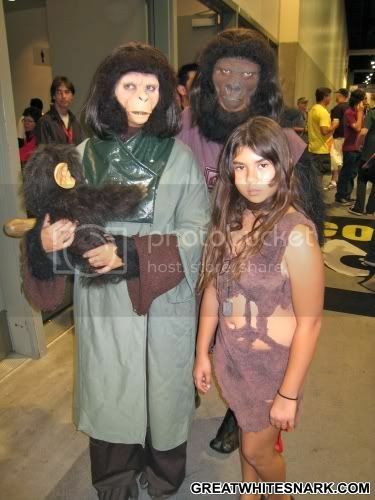 I sense an entire family taking their (admittedly pretty spot-on) Planet of the Apes cosplay a bit too seriously. 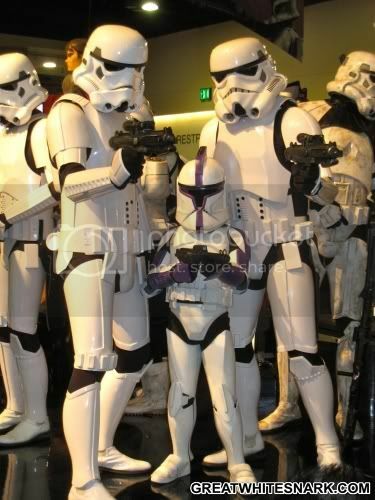 I was on a strict no-Clone-Trooper-costume photo diet at Comic-Con this year, until I came upon this shrunken one. I think you’ll agree he’s worth the exception. That shrinky-dink trooper is very cute. Watching Planet of the Apes a while back, the thing that jumped out as dating the movie was that Charlton Heston was smoking a CIGAR in a spacecraft. No smoking allowed in the cabin!! 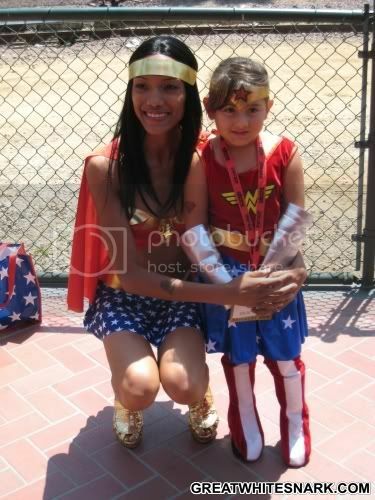 Thanks for sharing the pix.